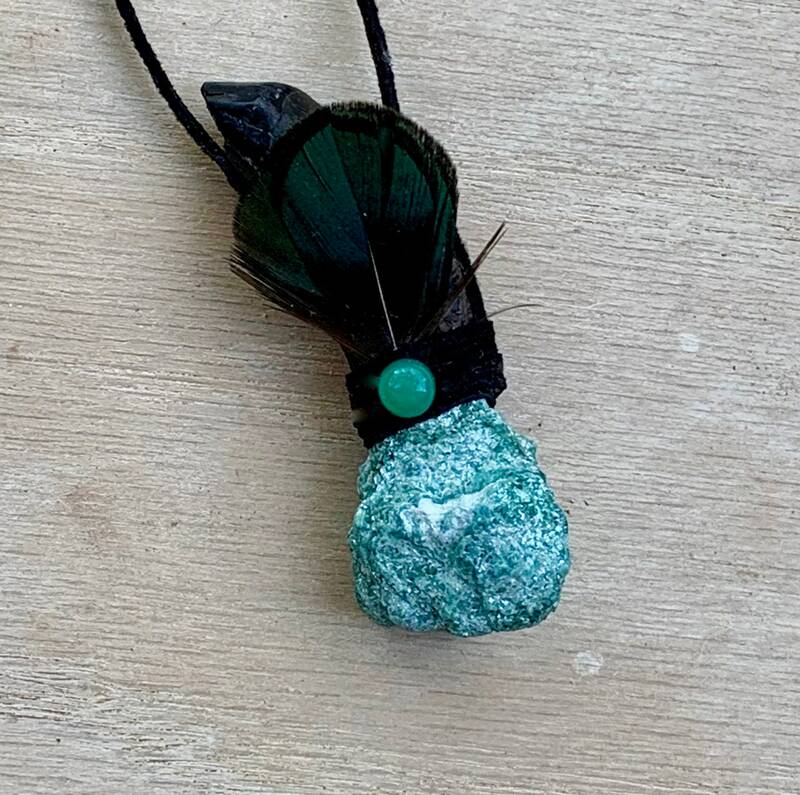 Assists with Aligning, Activating & Opening the Heart, Fosters Trusting Inner Voice & Intuition; Balances Emotions; Transforms Negative Energy; Increases Vibration & Life Force; Encourages Deep Meditation, Harmony, Balance, Hope, Adaptability & Creativity. Whale Medicine – Whales are the earth’s record keeper for all time. Teaches you about listening to your inner voice, understanding the impact your emotions have on your everyday life, and following your own truth. They remind us of the importance of family and community and of finding peace. Whales support us in speaking our truth with emotion, vulnerability and power. Encourages us to understand there is more to this life than meets the eye. And to remember just as the whale can stay under the weight of the ocean for long periods, he must come up to breathe, just as we need to take a break from the pressures and stresses of life, to let go and forgive. 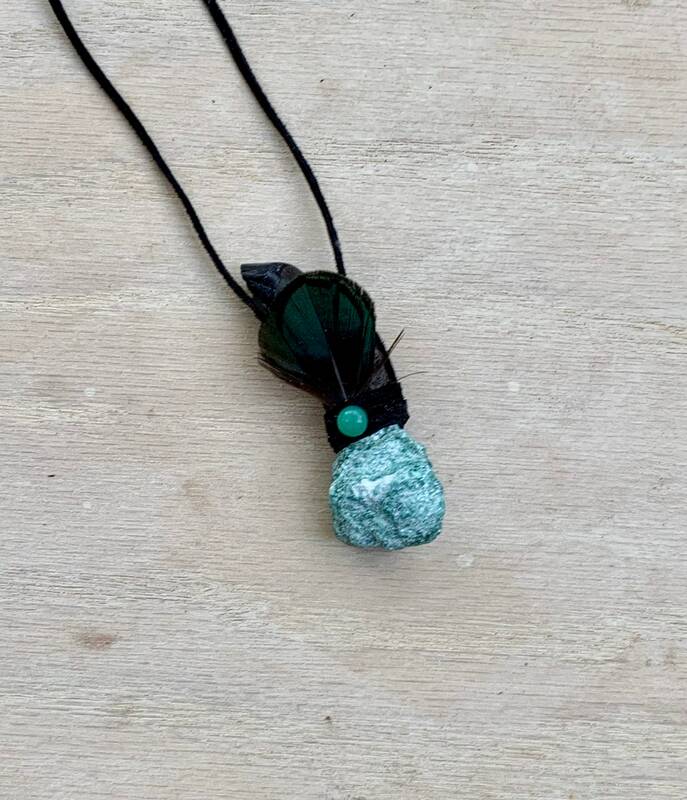 Zoisite - an energizing stone said to dispel lethargy, to enhance vitality and to transform negative energy into positive energy. It can encourage you to be your own person and to revel in your own uniqueness, prompting you to follow your own path and not to follow the crowd. Enhances creativity. 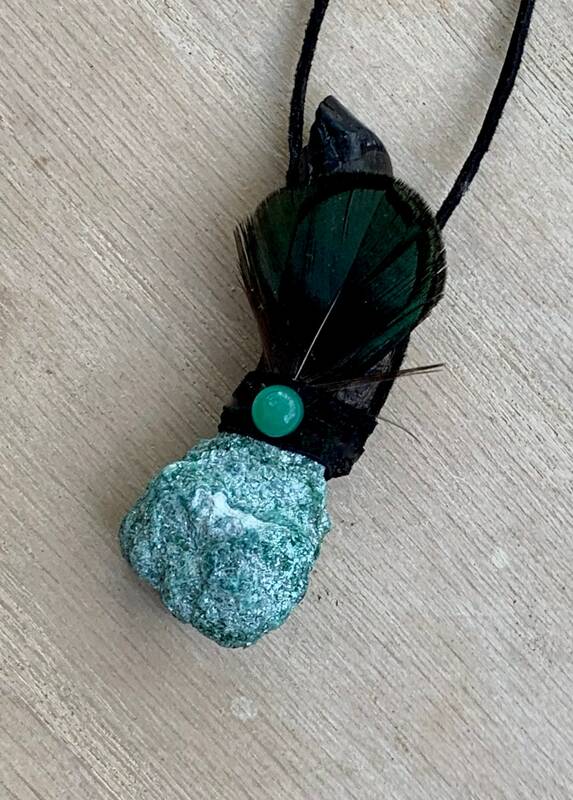 It is a useful stone if you have lost your creative spark as it is said to encourage you to focus on what you really enjoy and want to be doing. Is also said to promote trust in the universe and in the ultimate goodness of life, lifting your spirits and allowing you to be happy. 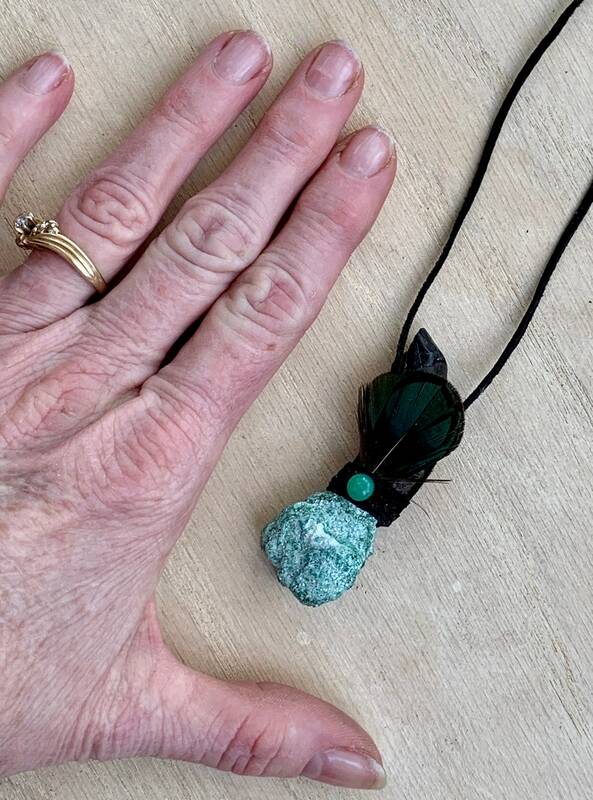 Chrysoprase - useful in balancing yin/yang energies and aligning your Chakras with the ethereal plane; activates and opens your Heart Chakra, instilling a state of grace and facilitating a deep meditative state. It helps heal broken hearts, eases depression, reduces superiority and inferiority complexes, and strengthens will and life force. It brings harmony and balance, light-heartedness and joy. 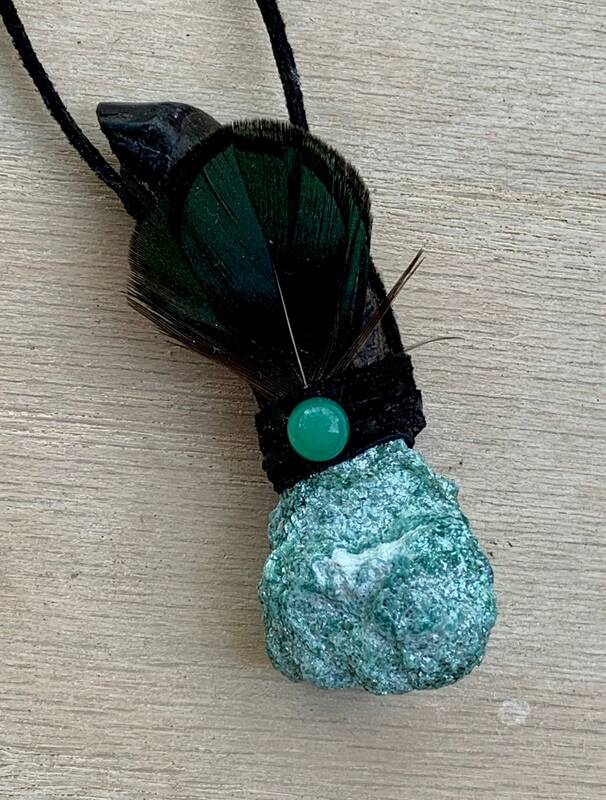 Chrysoprase helps make conscious what was unconscious, encourages hope, improves your eyesight and assists in clarifying problems. A cure for restlessness, it makes its wearer quick-witted, imparting adaptability and presence of mind. Aids in bringing harmony into relationship. 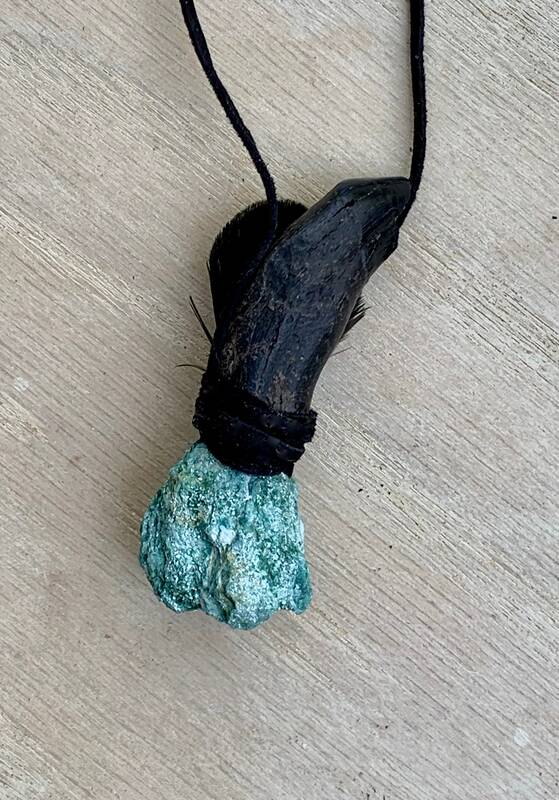 3 inches long;Zoisite 1 inch.